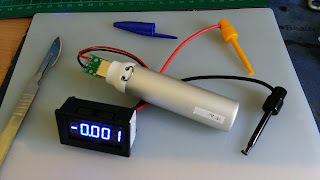 I soldered a USB male plug on the input voltage (5V is OK but it accepts a wider range), and I added 2 hooks for the sensed current (put the ampmeter in serie of course: the provided cables & plug are thick -- it is a good thing given the small currents). Here is my complete, workable setup. Using an USB powerbanks gives a steady, independant power source. but the devices withstands reverse polarity anyway. 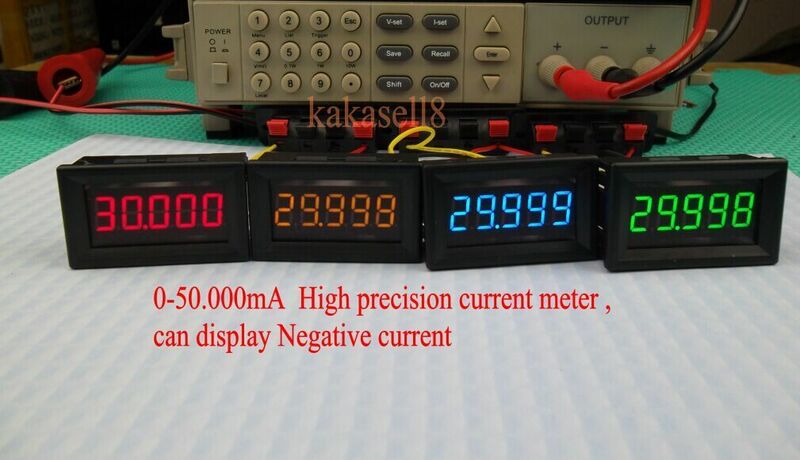 The burden voltage is quite low (they are measuring the tiny voltage drop across a small resistor, thanks to an I2C amplifier), so it has a very small impact on the circuit compared to 99% of the usual multimeter even in µA range (mostly worthless imho).